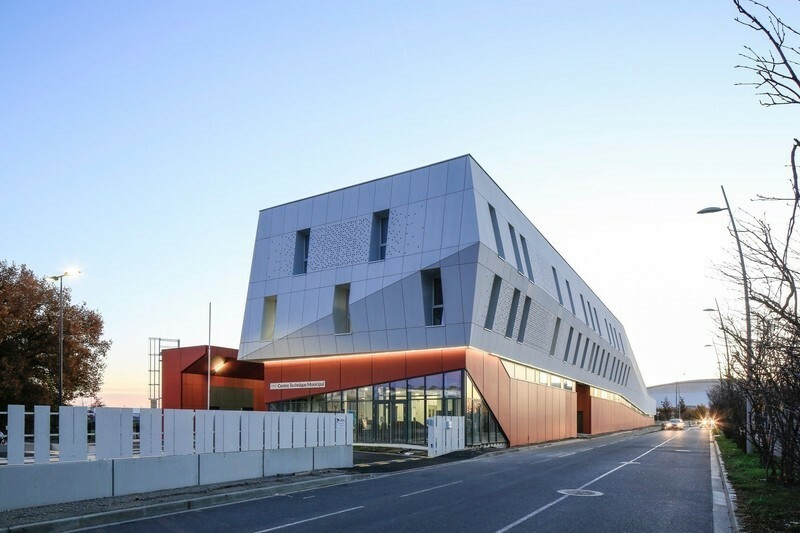 Sliding perforated-metal panels in voluptuous shapes screen the covered work space at the front of the facility. 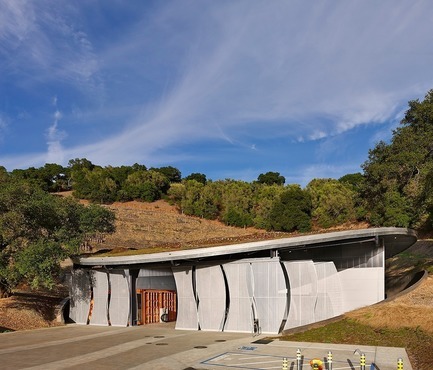 Under the winery's covered crush pad stand a laboratory and office created from reclaimed shipping containers. 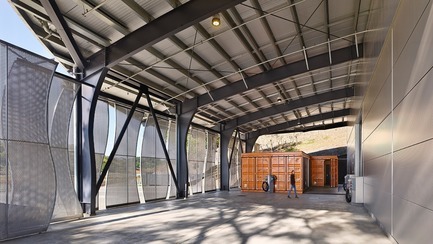 This reclaimed shipping container under a covered crush pad has been converted into a state-of-the-art wine laboratory. 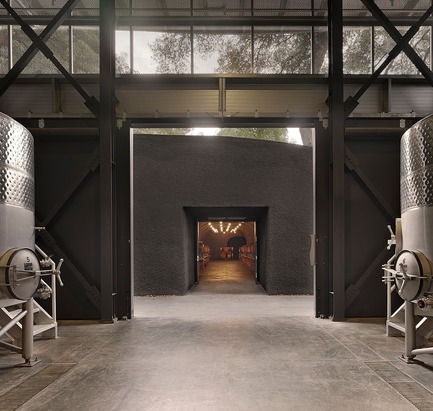 While tucked into the eastern hills of the Napa Valley, Odette's production facility feels open and airy as ample natural light enters the work space. 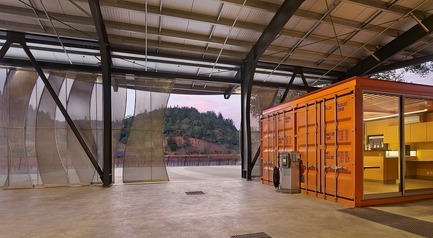 View from winery production area toward the cave portal and barrel storage. 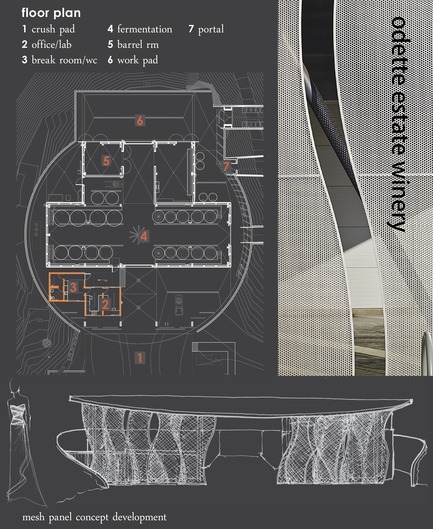 The winery's layout and a concept sketch for its sliding panels illustrate its unique industrial design. 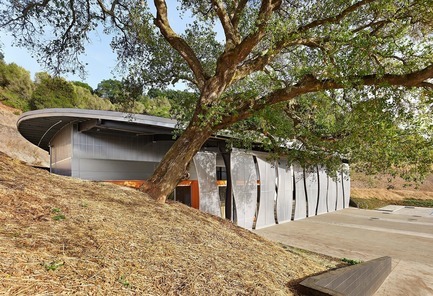 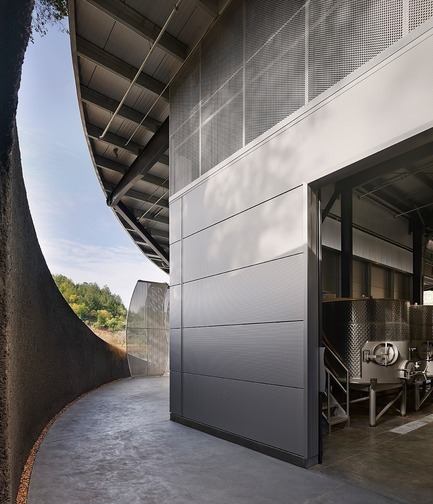 Odette Estate Winery, LEED Gold-certified production facility, a 2017 winner of American Architecture Prize for Industrial Building Design. 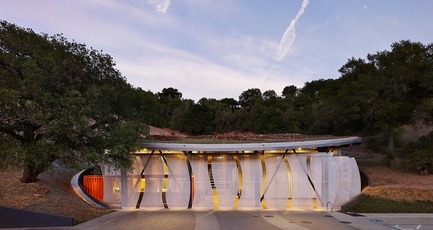 Solar panels and a living roof contribute to the project's LEED Gold certification. 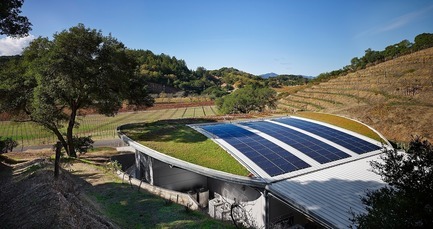 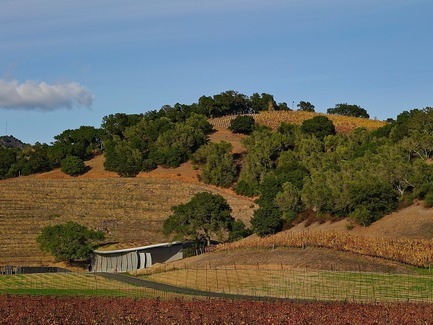 The building's living roof replicates the contours of surrounding hills and overlooks the Stag's Leap AVA. 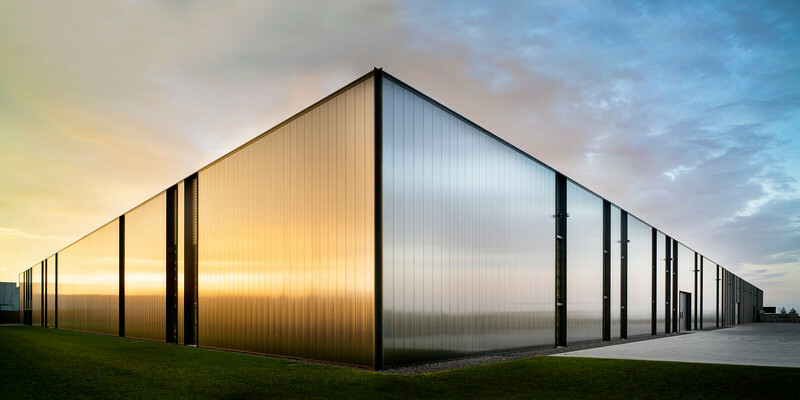 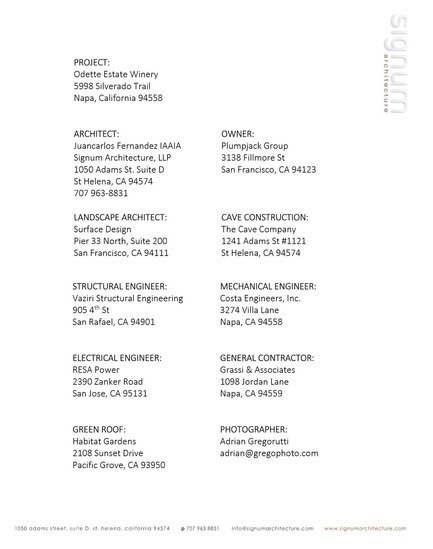 Odette Estate Winery's production facility, 2017 winner of American Architecture Prize for Industrial Building Design. 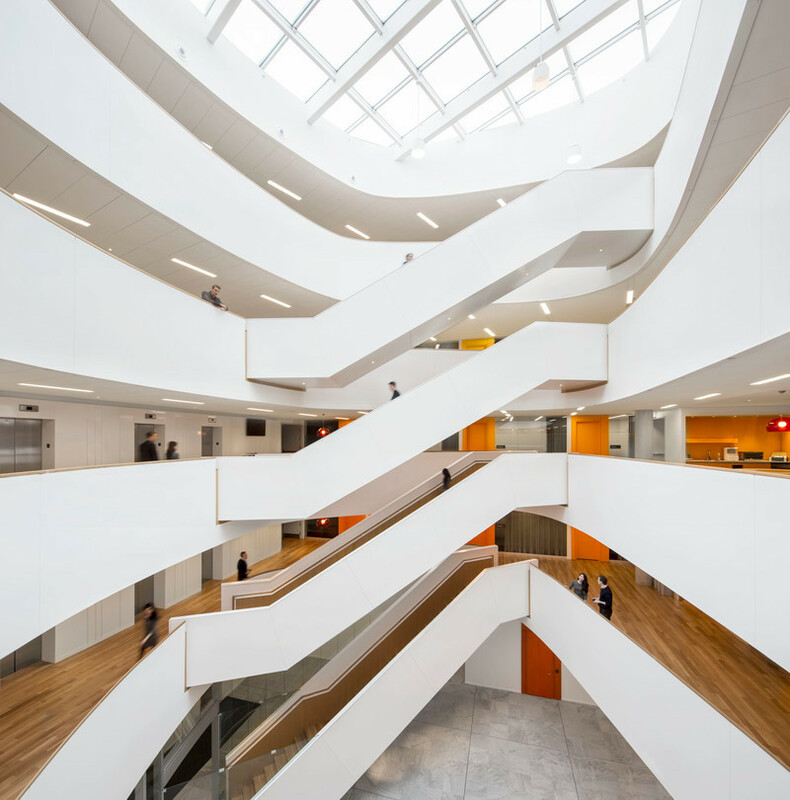 Simple and sophisticated, these lines provided inspiration for the project's design. 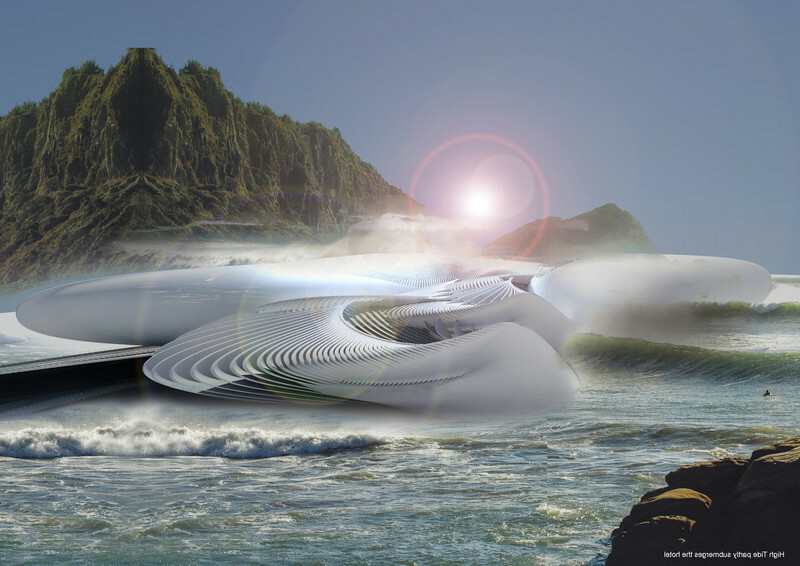 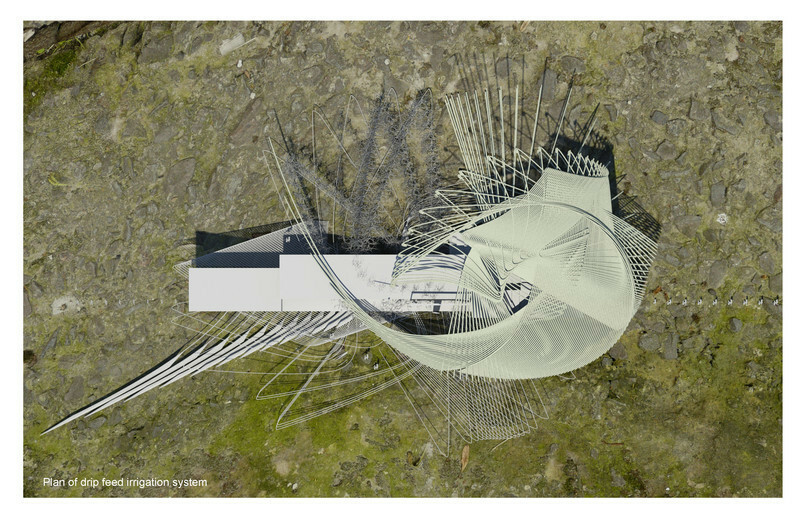 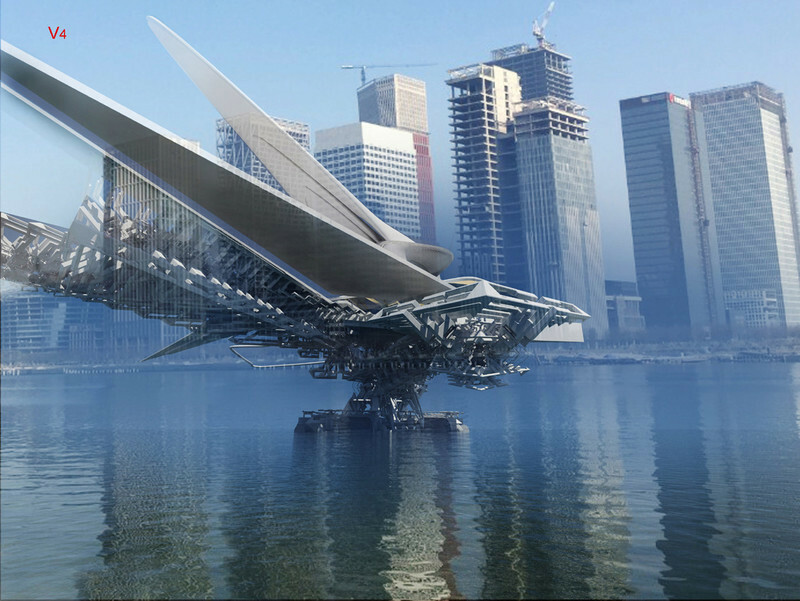 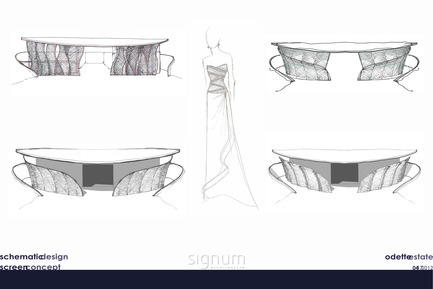 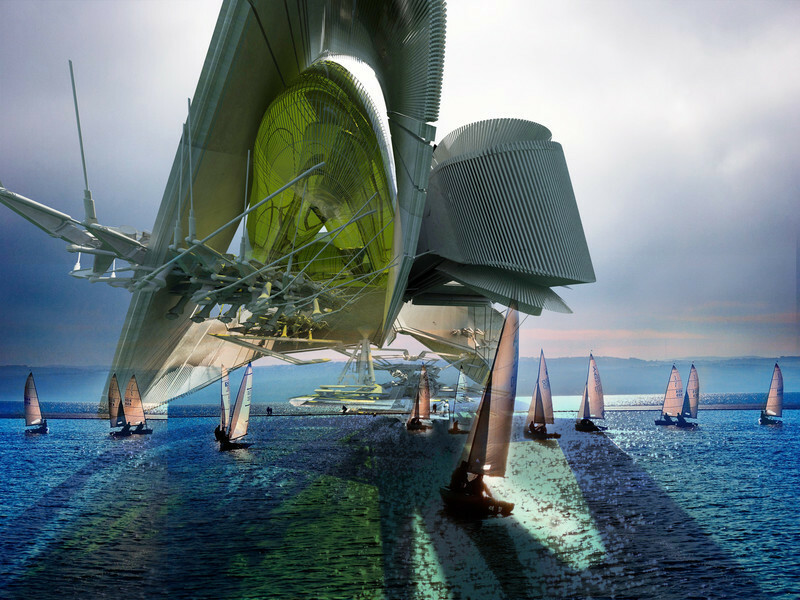 Concept sketches by principal Juancarlos Fernandez illustrate development of the sliding perforated-aluminum panels at the front of the building. 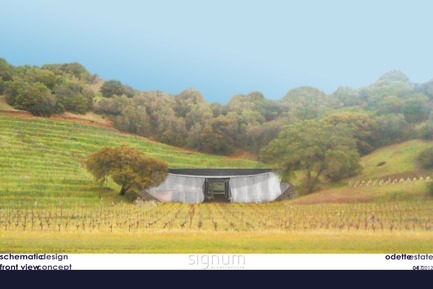 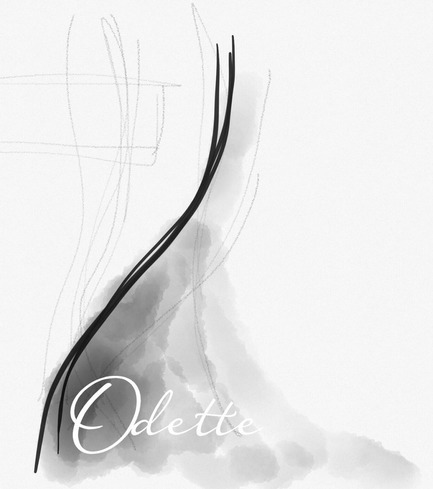 Front view concept rendering, Odette Estate Winery production facility.